Students always dread the laborious task of writing. It is astonishing the length students would go to make excuses for getting this task done. However, in order to progress in your academic studies, it is essential that the students be nurtured upon every nook and corner of the essay writing. There are various types of essays which students are made to write, though the focus here is on the argumentative essay. An argumentative essay is an objective essay in which the narrator or the author exhibits a point and provides evidence to support it. An issue is investigated in it, a conclusion is a draw, and a final verdict is provided based on the proof found. The credibility and the amount are used for justification of the conclusion drawn. In case, the evidence is not enough the alternate results are finalized. There are different variations that exist in the argumentative essay; however, the overall foundation is same. The strength of the argumentative essay is derived from the proof and evidence provided. In order to provide an effective argument, make sure you have fathomed every nook and cranny so that not a single piece of information remains at bay. The sources which can be searched for the derivation or extraction of the data include the scholarly articles, authentic website, published journals and papers as well as governmental websites. Addition of universal facts and phenomena can also augment the overall strength of the essay. After searching the material, list the points that you found most relevant along with the sources. Illustration of the sources also adds to the authenticity of the argument. Make sure you make a separate sheet of paper for pen downing of the points in favor and points against so that a coherent piece of writing can be produced. Consider the questions such as is it important, is it relevant to the topic or can the issue be resolved or not, in jotting down the points for the argument. Analyze the point you have written and drawn a conclusion. Make sure to study every point of the jotted down information. Select the main theme of the essay and define your position in the essay. Determine the thesis statement and make sure the statement formed is concise and clear. Once the position and the theme of the essay are determined, form an outline of the essay. Set a framework and list down the point which every section or space of the framework is to be integrated into. Make a decision on the length of the essay as it will determine the arguments you will raise in your crafted essay. Once an outline is formed, the real work of writing starts. Generally, a similar pattern is followed irrespective of the essay type i.e. introduction, body, and conclusion. Begin your introduction with the thesis statement so that the reader is elucidated with the main theme and the position essay is written from. Make it clear, concise, and ready to comprehend for the reader. The body of the essay will have all the arguments along with the supporting details. State a single statement and provide significant proofs for supporting it. In addition, also add the divergent views and state why it is not supported in this particular argument. Make sure no point lacks the evidence. Based on the evidence provisioned, draw the conclusion. The conclusion of the argumentative essay must briefly explain the points illustrated and showed the state the thesis statement drawn is found true or null. Ensure that no new set of information is illustrated in the conclusion. Once the draft has been created, read it in order to form cohesion among the statements illustrated. Avoid vague statements and use transition expression for linking the information exhibited in the body paragraphs. Refute the objections in a diplomatic way which the reader might raise. Align the information in a way which exhibits that the argument drawn is valid. Create a logic flow of the information in the essay, easy for the reader to follow. Once the cohesion has been created of the information, proofread the argument. Read the essay thoroughly, recognize the lacking in the essay, and mark the sentences where changes need to be made. Revise those changes accordingly in order to strengthen the argument presented. 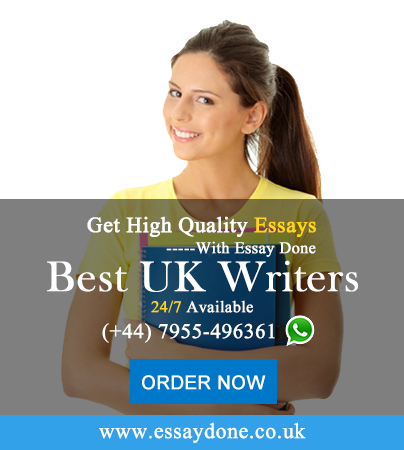 The UK essay help has endorsed the steps illustrated above for writing an essay which is conducive in nature. Along with it, selection of a suitable topic for argument also amplifies the probability of the score gained on it.